Facebook regularly scrapes your page and caches the data to their servers. They look for meta data information(OpenGraph tags and others) in your post page. The meta data can explicitly specify the image and the description to use when the page is shared.If Facebook doesn’t find any meta data, then their algorithms will fetch some description and image from your Page. Facebook shows a wrong description or image when their Algorithms are not able to fetch the correct image and description from your Post Page. We will solve both of these issues using two different techniques. 1. Fixing the Wrong Image Problem. You might have noticed that comment avatars, and other irrelevant images from your sidebars come up when you share the post on Facebook . The solution to this is to specify the image in the page meta data. We will be using open graph tags for the same. Paste the following code snippet. You can alter the image URL in the above snippet. That image will be used when no images are present in the blog post. Now when you share posts to Facebook, the first image in your post should show up on Facebook as a thumbnail. If the post doesn’t have images, then the fall back image which we have specified in the snippet will be used. If you don’t see results right away , then it might be due to the caching done by Facebook(Facebook caches the metadata). You can force Facebook to update the cache by debugging the post URL using this tool and selecting the "Fetch new scrape information" option. If you want to make sure that the thumbnail shows up correctly, the first image in your post should be atleast 200 x 200 px in size(that's the minimum size which Facebook expects). If the first image is smaller, then Facebook might ignore the OpenGraph tags and use it's own algorithms to find the post image. Wrong description comes up when Facebook is not able to recognize the content and structure of your page. This also can be rectified by adding a search description while creating your post(You can even update the search descriptions of your existing posts). This description will be added as meta data to your post page and Facebook will pick this up. If meta data is not found, then Facebook normally uses the First paragraph in your page(which is big enough). So it will be a good idea to get used to the paragraph HTML tag <p>content</p>. The Blogger Post Editor doesn’t use paragraph tags but uses lots of line break tags instead. So if you really don’t want to use Search descriptions, then you will have to go into the HTML mode of the post Editor, and make sure that you use paragraph tags Third party Publishing Tools like the Windows Live Writer which has superior Editing Controls uses paragraph tags wherever appropriate . After updating the search description(or updating your post with paragraph tags), use the Facebook debugging tool and debug the post link to force a cache refresh. If you found this tutorial useful, then do share it with your Facebook Friends who use Blogger :-). If you have any questions do ask here in the comments or the forum or on our Facebook Page. Hi i hv a prblm hw can i upload a pic 2 my blog spot? This has been a bane of mine for awhile, but couldn't figure it out. Thanks! SO frustrating. This still doesn't work. I've added p /p to my post and the description section on the facebook link is still blank. I've been trying to solve this for hours. Makes me think I should search for an alternative to Blogger. @Aaron - Which post are you trying to share? As I have already mentioned in the post, FB caches data on their servers. So if you have to see the result right away, you will have to use the Facebook debug Tool. Hello, I have tried it now... but seems like my problem doesn't fixed... what will I do? Hey, I am still needing help. I can't figure how to fix this problem on my blog. Can you assist further? I use meta itemprop on each post just to display a customized keyword and description tag on facebook and in search engines however I find it hard to place each post a crafted description and kewyword and also I have notice that my html is getting bigger and bigger. I'm starting to worry that my blog wouldn't be indexed because of big html size is there other way to post a crafted description that will post on facebook and in search engines? This case have come to me for a long time since I first posted my blog's links on Facebook. Some likes coming from readers also showed wrong descriptions on Facebook. And thank God, now I found this post. I have added the snippets and it works well on Facebook, after debugging its cache. Thanks again, my Brother. oh wow i was looking for some fix for my blogger meta graph thanks a million for this article. the text is " Warning: http://dknet-clan.blogspot.com/2012/02/my-title-weapon.html is unreachable. " this is not working,still snippet is not coming when i am sharing my blog url on facebook. please chek it out and reply me as soon as possible. It was working a few days ago and now it its not. I just add an ad banner a few hours ago, it that the reason? I saw on the web something with P tag to add but it didn't work. Thanks for sharing it, After the ccTLD updates FB wasn't recognizing the POSTs Images. does'nt work for me neither. and...lately NO content shown on G+. Wow, can't thank you enough for this! Hi, unfortunately did not work for me. I added the above code to the html above the head tag (did not expand widgets as you didn't say I had to) and its still giving me choice of only 3 images and none related to the blogs I am posting to my facebook page. Anymore tips? Facebook's algorithms have now changed. Blogger generates a thumbnail image which is of size 72x72 pixel. 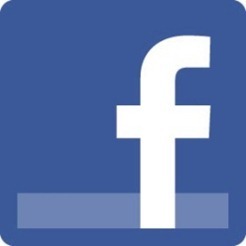 Facebook now needs an image which is at least 200 px. This is the reason why it's not being picked up. <b:include data='blog' name='all-head-content'/> will automatically render the meta tag with the search description. The only thing is that the user should add Search Descriptions in the post so that that gets rendered as meta tags. Hi, please help it not work for me , only google plus can handle it facebook not. If you try to post your latest blog post onto facebook, you can see that it's picking the image properly and is setting it as the first available thumbnail. Yes, thank you Aneesh. It appears to be working now. I recently posted an article and it picked up the correct thumbnail. Hello Kate, I am sure you will get a reply from Aneesh soon, but the same thing happened to me. However, after a day or two it appears to be working now. I recently posted an article and it picked up the correct thumbnail. H Kate, are you trying to use your Blogger Profile pic when you post to FB. Then this post won't help you. If you implement the above solution,it will pick the first image in the post if any.If no image is added to the post, then Facebook will decide what to pick. Thanks all. I did run the debugger and the image that comes up is my new logo and yet the old one shows up when I try to share to my facebook page. Otherwise everything else is correct and I will wait another day and see if it catches the change. what's the URL you are trying to share on FB? Thank U very much, it works. it was really a big pain for me before. I tried for www.alphainterbiz.com/index_new.html but the thumbnail image is still showing twitter one. Pls tell me what to do. It works thank you, but still the image on the share is blurred :( why? what can i do? I'm getting the following statements in the 'Open Graph Warnings That Should Be Fixed' section when I attempt the change. My blog URL is www.shrugnet.com. When use the tool to force the Facebook cache update, the proper og:image is displayed in the Object Properties portion of the Facebook developers page, but Facebook does not update the image or the description. Should I wait a few days? After a few days' wait. It works! Thanks for this post! Awesome... Was getting confused for a long time. Very good fix and thanks a lot. I have added the code in http://mrgolmaal.blogspot.com. @Aneesh great post!!! Greetings from Uruguay. I had been looking for this solution everywhere! Have you found a way around to improve thumbnail resolution? As the picture is resized from 72 to 200 it loses quality. This worked perfectly - - thanks for your help!!! Recently, when sharing post links on Facebook or Twitter, the preview image is pulled from the sidebar (those images are also hosted elsewhere), not the post itself. Usually the preview images are the top images from the sidebar. Inexplicably, on occasion the preview image IS correct, though the HTML in those posts appears exactly the same as in posts where the preview is wrong. Thank you in advance for any insight you can provide! thank you so much, thats work in my blog..., lovely this tutorial..
yes the post has been updated to make use of the full size image and not the thumbnail. So you shouldn't have any issues with the image quality. Nothing is solving my problem. My photo at the top of my blog post is 400 x 266 pixels, plenty big enough for Facebook, so why is it that Facebook tells me that the image is too small? It seems that Blogger somehow alters the image to be smaller and thus facebook overlooks it. How do it fix this? couldn't find the required code in your template. Have you followed step 1? Used the above code and it is not working. Facebook is pulling an image from the sidebar. I have even removed this image from the sidebar and it is still pulling it. Any advice? I want facebook to pull directly from the post, not from the link I am specifying, and not from the sidebar. Frustrated over here. Any help appreciated! As mentioned in the post, Facebook caches the metadata and it will take some time for the changes to take effect on new "shares" of your existing posts.Your new posts should show the correct thumbnail when you share them. You can force a cache refresh by using the Facebook debug tool. Another point to note is that the first image in your post should be atleast 200 x 200 px in size. @Cindy - I don't see the og:image (the code mentioned in the post) in your blog's HTML. This post is so great! I have been searching for HOURS trying to find a solution for my fb link to stop picking up something from the sidebar! This helped so much! Thank you thank you thank you!